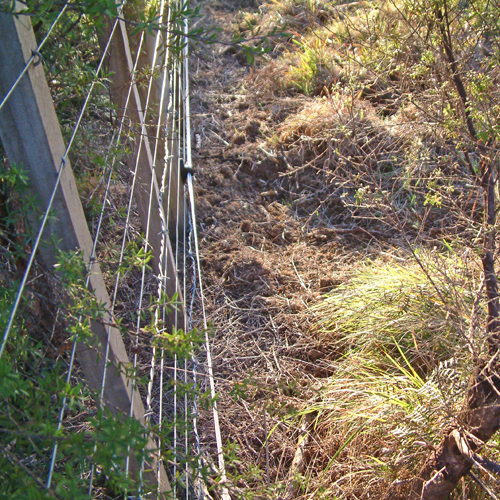 Feral pig rooting damage along a pig exclusion fence. Pigs can be very determined to root in favoured locations. Strong fences and electric wires can assist with keeping them out.